Funnel cake. Pizza. Italian sausage. Rides. Blue Ribbons. Fun. 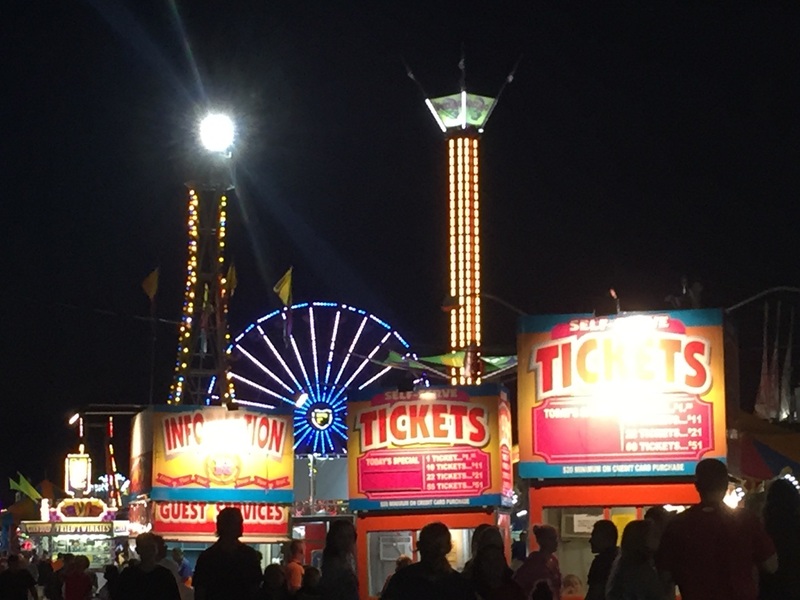 A few days ago, I took my son to the Great Frederick Fair. If you are outside of western Maryland, there’s a good chance you’ve never heard of it, but it is a true country fair, complete with an assortment of rides, games, food, animals, tractors, country singers, baking contests for such categories as best cookies and best apple pie, and on the day we went, a monster truck event that still has my son mimicking the loud, revved up noise the trucks made as they took off to the thrill of the crowd. He looked every bit as mesmerized as I had always been, going to the fair each year. 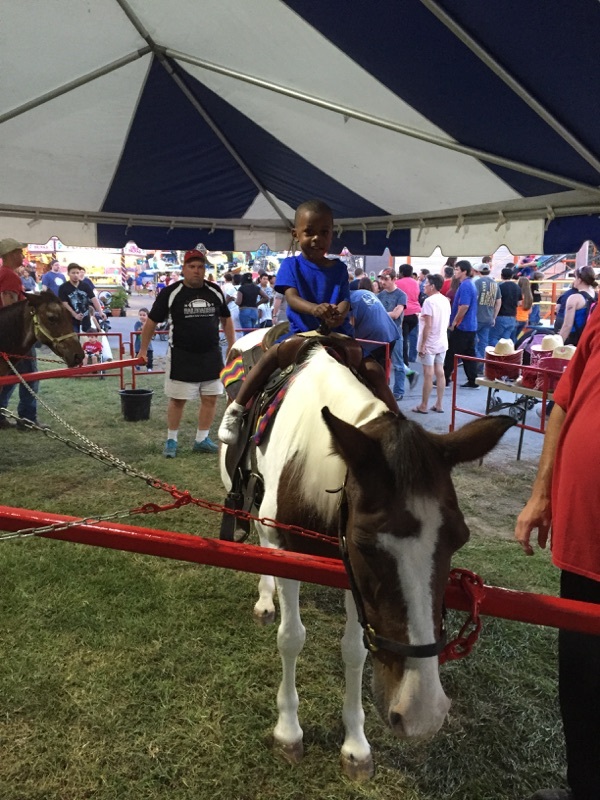 I couldn’t wait to take my 2-year-old son to the fair and to see the wonderment in his eyes and on his face as he experienced it. I couldn’t wait to see whether he would enjoy the pony ride, going to the stalls to see the pigs, cows, sheep and horses. I wanted to see his face when he took his first bite of funnel cake and when he tasted one of my favorite fair crab cake sandwiches, made by one of the local fire halls. Some experiences are transferrable. It brought me so much joy watching him take it all in. He had so much fun. He walked in between his dad and I, holding both of our hands, and jumping. It had been quite a few years since I last went to my hometown fair. I’m so glad I did. I got to relive some of the memories of my beautiful childhood and to experience new ones through the eyes of my son. It was such a great feeling. Never stop making new memories. It is a blessing to share our past experiences with our kids. I’m glad all of you enjoyed the fair! !